Union CyclisteInternationale (UCI) and The Cycling Association of Hong Kong, China Limited (CAHK) are pleased to announce that the final round of the 2015/16 UCI Track Cycling World Cup will take place in the Hong Kong Velodrome for the first time on 16 and 17January2016. The event will be of the highest-ranked international track cycling competitionever staged in Hong Kong, where more than 250 world-class riders from over 30 countries and regions will gather together not only to contend for different individual titles, but also to strive for points for getting in the 2016 Rio Olympic Games. 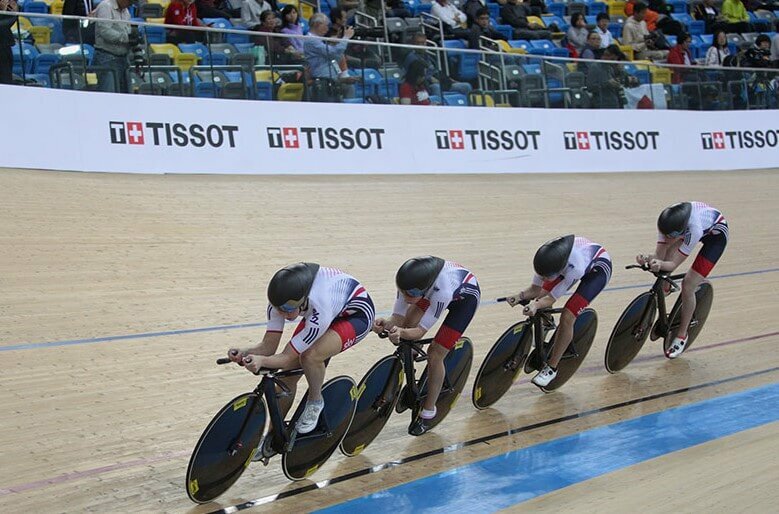 2015/16 UCI Track Cycling World Cup- Hong Kong will be last leg of the series that comprise 3 rounds, with Cali, Colombia being the first stopfrom 30 October to 1 November 2015, followed by Cambridge, New Zealand from 5-6 December 2015. The leg in Hong Kongwill also be an opportunity for cyclists to obtain points for the UCI 2014-2016 Olympic Track Ranking, which determines their qualification to participate in the Olympic Games in Brazil next year. Apart from receiving tremendous support from various sectors of Hong Kong’s community, 2015/16 UCI Track Cycling World Cup- Hong Kong has also been recognized as a “M” mark event by Major Sports Events Committee andawarded the 100th “M” mark since the launching of the “M” Mark System in 2004. Mr. Wilfred Ng Sau-kei, SBS, JP, President of 2015/16 UCI Track Cycling World Cup – Hong Kong Organizing Committee said, “I am delighted that the 2015/16 UCI Track Cycling World Cup – Hong Kong is now a “M” Mark event that helps enhance the image of Hong Kong as Asia’s sports event capital. The “M” Mark awarded by the Major Sports Events Committee, symbolizing that the tournament is an intense, spectacular and signature event in the territory sports calendar. I hope that the event would benefit the development of cycling as a sport in Hong Kong. Current Hong Kong Cycling Team member Marco Kwok Ho-ting and ex-member Jamie Wong Wan-yiuexpect that the event will bring aboutan upsurge in popularity of cycling among the public. “For the Hong Kong Cycling team, it is absolutely an invaluable experience to compete inthe World Cup with elite cyclists from all over the word.” said Marco, while showing his “rainbow jersey” at the Hong Kong Velodrome. Asian Games silver medalist and former UCI Track Cycling World Cup round champion Jamie believes that more Hong Kong people will show interest in the sport. “The World Cup will certainly attract media attention. I am sure we will see plenty of reporting on the event. Together with television live broadcast, our people will learn more about track cycling, which I think will have positive impact on the sport’s further development in Hong Kong. In order to increaselevel of participation of Hong Kong’s general public, CAHK will be organizing a series of community activities, among which are the “Track Cycling Experience Day” on 3 and 4 October 2015 at Plaza Hollywood and “Hong Kong Velodrome Tour” for pupils and senior citizens. Tickets of 2015/16 UCI Track Cycling World Cup- Hong Kong will be availablestarting from mid October at www.hkticketing.com. Price ranges from HK$25 to HK$300.